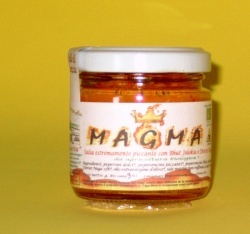 Ingredients: Peperoni dolci, peperoncini piccanti, peperoncini piccanti (Bhut jolokia e Dorset naga 23%), olio extravergine di oliva, sale marino non raffinato, acidificante acido citrico. Organic extremely hot sauce made by combining special varieties of sweet peppers and hot chili peppers with extra virgin olive oil. No other vegetable or flavoring are added. 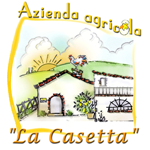 Glowing like volcanic magma with very fruity aromas and vanilla notes. 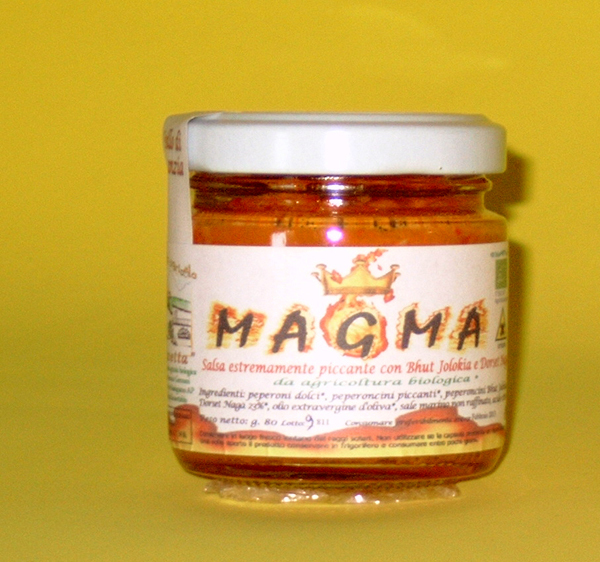 Contains 23% of the Bhut Jolokia and Dorset NAGA; they are some of the hottest peppers in the world! But it is not enough! There is another 25% of hot cayenne chilli peppers. To use on any food to add high hotness notes. Warning: This souce is recommended to trained palates. Certified organic. Packed in a 75 g jar.